CatDV and Adobe Anywhere make an incredible combination. Adobe Anywhere provides a revolutionary production environment with all content centrally managed and streamed over the network. 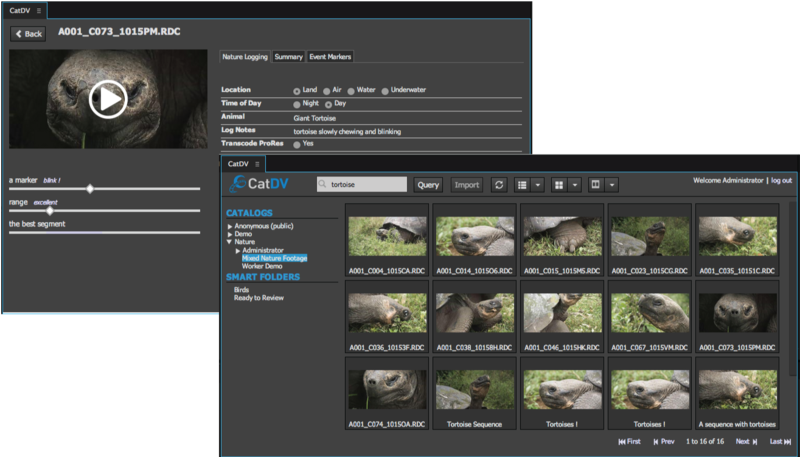 CatDV for Anywhere adds the power of CatDV media management to Anywhere: managing content seamlessly between CatDV, storage and Anywhere productions. Adobe Anywhere users don’t need local content or even to know where content is located, so asset management across the organization becomes even more important. CatDV and Adobe worked together on a tighter integration with Adobe Anywhere 3, which adds powerful capabilities to the products: master clips, sub-clips, sequences and metadata are now all supported, using CatDV’s panel, right inside Adobe Premiere Pro. The flexibility of the CatDV for Adobe Anywhere integration opens a huge range of creative, production workflows. The two tools are ideal collaborative applications: Adobe Anywhere for its ground breaking production capabilities, CatDV to solve the perennial problem of “where’s my stuff?”.